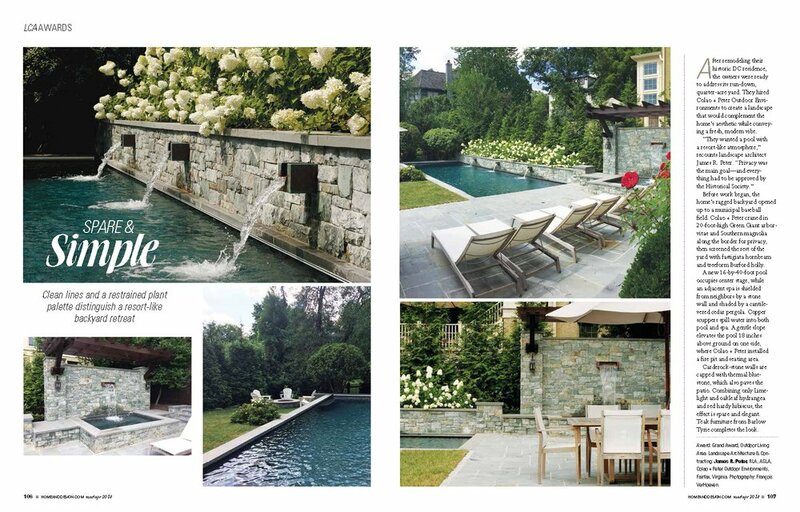 We are very excited to have been been featured in the Spring landscaping edition of Home & Design Magazine. The two page editorial in DCs premiere home magazine showcase our wonderful award winning DC project and highlights the elegance of simple design. Our full design team was on-hand at the unveiling of the new edition and to accept the wonderful recognition. The team included, Joe Colao, J.R. Peter, Shane Grey and Francois Verhoeven.